FriendGrief: Friend Grief and "If/Then"
I was New York City last month, sitting in the mezzanine at the Sunday matinee of a new musical. Musicals are my ‘thing’; always have been, always will be. Acting, singing, dancing: what’s not to like? The show had been enthusiastically recommended by my daughter, who did not tell me much about the plot (as it turns out, deliberately). 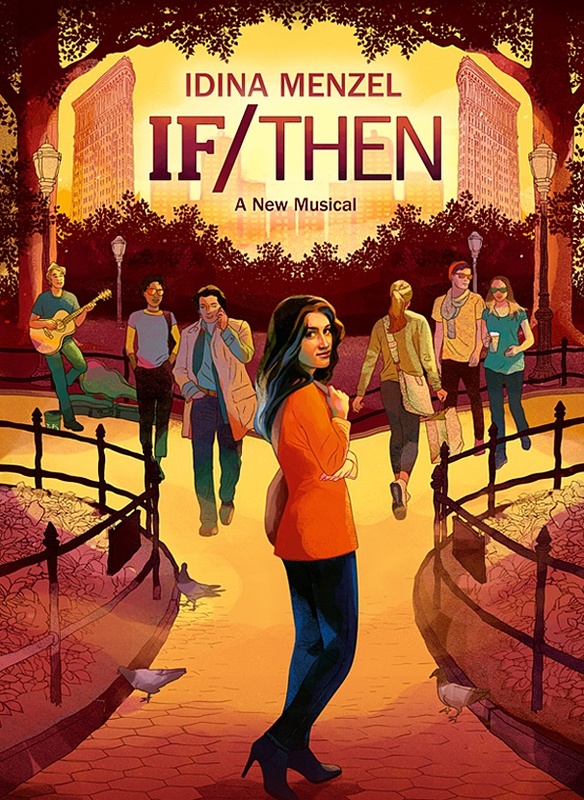 If/Then, starring the remarkable Idina Menzel opens with the story of Elizabeth (or Beth or Liz, depending on which friend is speaking), newly back in NYC after a disastrous 12 year marriage/exile in Phoenix. The title refers to the theme of the show: choices. She has two invitations: one from an old friend, one from a new friend. Which one she accepts will determine her future. Or will it? The line comes late in the second act. She’s speaking to her late husband’s best friend, who is explaining how much he missed him. We think of broken hearts as the fallout from a failed love affair. We sometimes express grief for a parent or spouse in the same way. But it was the first time I ever heard grief for a friend expressed that way. I was surprised. If you loved your friend – whether or not you actually admitted it to them while they were alive – why wouldn’t you feel that way? You might find yourself shocked at the depth of that heartache, but you shouldn’t be.